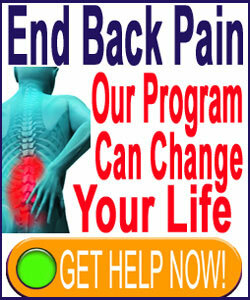 Cauda equina syndrome involves compression of the lumbar and sacral nerve roots in the lower back. CES often presents a neurological emergency and may even create permanent injury to the affected tissues. Cauda equina compression syndrome can occur for many reasons, including acute traumatic injury, advanced spinal deterioration associated with age and the development of certain structural pathologies that might be related to atypical structure. Cauda equina compression is one of our most popular subjects, since we provide a truly objective view of the condition, unlike many informational sources that inspire fear with unrealistic and illogical medical propaganda. If you have been warned that you might face cauda equina compression in your future, then this essay will help to educate you to the facts that you will need to know in order to best navigate the treatment options available to you. This focused investigational report examines the causes and symptoms of cauda equina nerve compression syndromes. We will also provide guidance for patients facing a diagnosis of CES from various causative mechanisms. Central spinal stenosis can accumulate in the lumbar region and at the lumbosacral juncture, effectively narrowing the vertebral canal and slowly impinging on the nerve roots contained within. Herniated discs, particularly those of central or paracentral variety, are common contributors to acute cauda equina compression syndrome presentations. Lumbar spondylolisthesis can misalign the central vertebral canal, creating the ideal circumstances for CES to occur. Severe atypical spinal curvature, such as scoliosis or hyperlordosis, might also misalign the vertebral canal and impinge on several cauda equina tissues. Spinal injury is a very common cause of CES and might involve vertebral dislocation, fracture or general trauma to the central canal space. 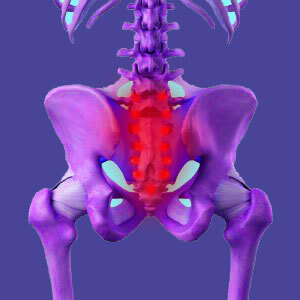 The symptoms of a compressed cauda equina are severe and can present quickly. Lower back pain and buttocks pain are common initial symptoms, with many patients also experiencing paresthesia tingling and numbness in the lumbar and sacral zones. Within a short time after, most patients will develop weakness in the legs and numbness in much of the lower body, including the saddle region. Foot drop is a common symptom. Most patients will not be able to perform sexually and many will experience incontinence of bladder and/or bowels. The vast majority of patients will not be able to stand for long, if at all, and some might experience complete or partial paralysis in the legs and feet. Symptoms might progress over hours, days, weeks or months, depending on the mechanism of onset. In some patients, such as those affected by acute traumatic injury, onset might be immediate and extreme, with a full range of symptoms occurring acutely, including the involuntary voiding of bowels and urine. In patients with slow developing spinal stenosis, symptoms might occur slowly and intermittently over years, until they finally reach the event horizon of true CES. Many patients are cautioned that they could develop CES and this warning might be prudent in some cases. However, in the majority of circumstances, such warnings are not supported by any statistical evidence and serve only to frighten the patient illogically and unnecessarily; creating a terrible nocebo effect that can injure body and mind. In many of these scenarios, the warning of potential CES development at some point in the future is certainly made in an attempt to get the patient to acquiesce to immediate dramatic treatment, such as herniated disc surgery in the lower back. I was victimized by this type of scare tactic in my early treatment experiences, when a particular orthopedic surgeon made every attempt to get me onto his operating table for surgical treatment of 2 lumbar herniated discs. I was told I would become incontinent and paralyzed in my early 20s, which I did not believe, and sought a second opinion. In the many diagnostic opinions I have received since, not a single one has mirrored the doom and gloom of this opportunistic and predatory doctor. I am happy to know that his career is long over, as this occurred more than 25 years ago and his predictions obviously never came to fruition. It must be noted that CES is very real though and credible warnings should be taken seriously. Luckily, in cases where CES is occurring or imminent, the symptoms are usually dramatic and there is no doubt as to the accuracy of the diagnostic verdict. However, if the warnings are stern and the symptoms seem minor, then always take time to seek more than one diagnostic opinion, in order to prevent yourself from being exploited by a doctor who just wants your money now and cares nothing about your health.